In the ninth month of the Islamic calendar, Muslims worldwide observe Ramadan, a period of fasting and other rituals designed to bring self-purification through self restraint and other good deeds. The fasting begins at dawn and lasts until sunset, when observers break their fast with an evening meal called the Iftar. 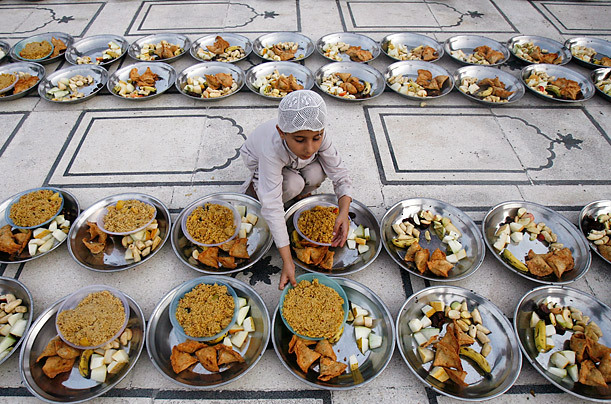 Above, a child lines up food in preparation for the Iftar on the first day of Ramadan at the Memon Mosque in Karachi, Pakistan.